Well hello there Monday and happy November friends! It's officially my favorite month and it started in the best way possible - with a great weekend!! Friday after work I had drinks with my former co-worker Heather and we were finally able to celebrate her recent engagement!! I picked Bond in the Langham Hotel downtown...we both had the Tall, Dark & Handsome drink - seriously tasty! It was originally Boston's Federal Reserve Bank and it's always fun to walk up the steps leading up to the restaurant and bar then seeing the gorgeous chandeliers - it's a great combination of the old with the new! One of my favorite spots in the city! It was pretty mild here this weekend so I was finally able to put the boots away and wear my little moccasins from Go Jane! I spent Saturday afternoon with my sister and again did some damage at Marshall's - their stationary is just too good! Also watched the Gators put on a good show against GA! Halloween was a bit different this year - we ventured to Cambridge to see how our friends neighborhood goes all out! We saw some really great costumes - there was a mom that was dressed like a chef and had a pot around her and then her baby was dressed like a baby lobster - it was so cute! 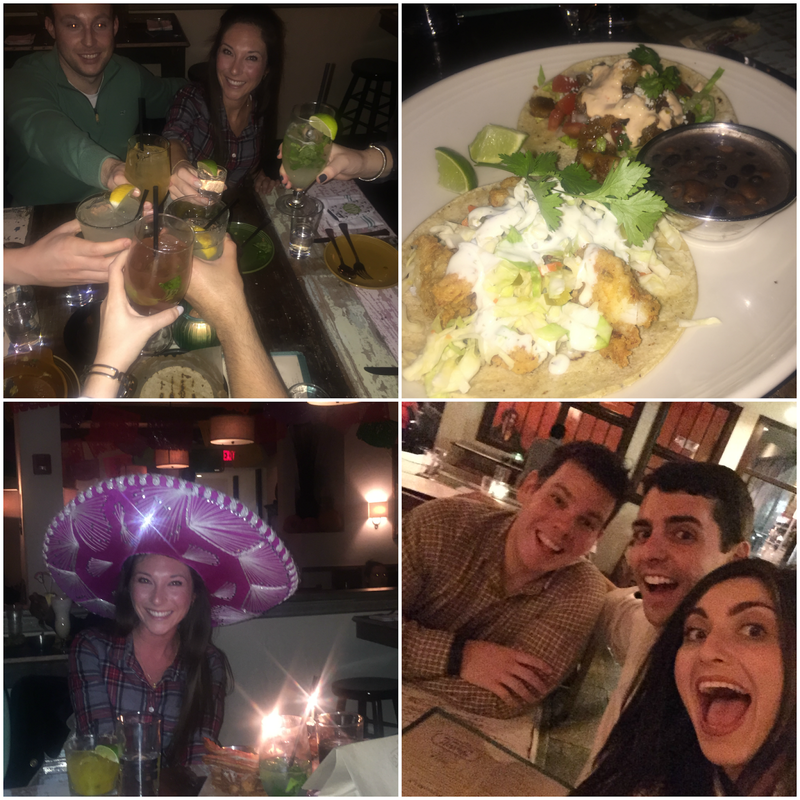 We made our way to Painted Burro - this is our second time eating there and it was delicious yet again! Even managed to celebrate Meg's birthday a little early! Thank you daylight savings for giving us an extra hour of sleep on Sunday and then thank you mother nature for another pleasant day! 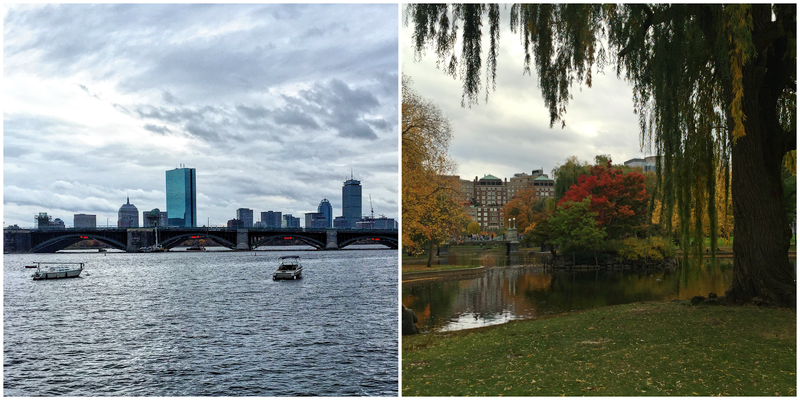 I promise if you visit Boston in the Fall you won't be disappointed - it's so beautiful! Wrapped the weekend up with the chicken recipe I mentioned on Friday and it didn't disappoint! This was a Pinterest WIN! A couple of Monday mantra's to get us going this week! Hope your week is fabulous! Link up below to share your Halloween weekend's with us! Looks like a fabulous weekend, lady! It was such beautiful weather everywhere and you took full advantage of it. LOVE that vest, so so pretty and I agree Marshall's has some of the best stationary for an incredible price. Happy Monday! What a fun weekend with a lot of celebrating! I hit up Marshalls too so many great things, gets me every time. Happy Monday! Omgosh yes for the extra hour of sleep! Not looking forward to the earlier dark nights.. But I'll get used to it again! I went through the Target dollar section and found some stationery gems! Happy Monday! I love, love, LOVE your pink mocc's! So cute! Happy Monday! This looks like one awesome weekend!! I now want to dress my baby as a little lobster! Such a cute idea! Looks like a great weekend, so glad the weather was nice! May it continue! Looks like you had a fabulous weekend!! That bar is absolutely gorgeous! And all your food looks so yummy. Happy Monday! And happy November! What a perfect weekend!! Sounds like it was the perfect amount of relaxing and exploring! And the weather sounds so dreamy! I seriously can't believe it's November! Probably because the weather in Arizona definitely doesn't feel like the November weather that I'm used to, ha ha! Awe, chef/lobster costume sounds so cute! Gahhhh, that chicken! Must make. I LOVE that picture of you and Gary on Halloween! Such a great picture!! Isn't it funny to look back on how holidays change as you get older! Your snaps from that night of the neighborhood - wow! They really do go all out! Looks like a fantastic weekend!! That spot for drinks on Friday night sounds great, and that lemon chicken looks like it came out so good. Have a great week! Wow, Bond looks absolutely gorgeous! My brother just moved to Boston and I am telling him he needs to go there ;) Looks like a great weekend! Yay for the pink moccasins! And you're right Marshall's has the best thank you cards and whatnot-also absolutely everything you need for a guest bathroom (cute soaps, lotions, etcetera). Happy November! LOVE that shearling vest and those pink moccasins! Looks like such a fun weekend! Happy Monday! Such a pretty restaurant! And I love your vest! yay for celebrations all around! love those pink moccasins! and that vest of course :) fall in new england is quite possibly the best thing ever - enjoy it sister! 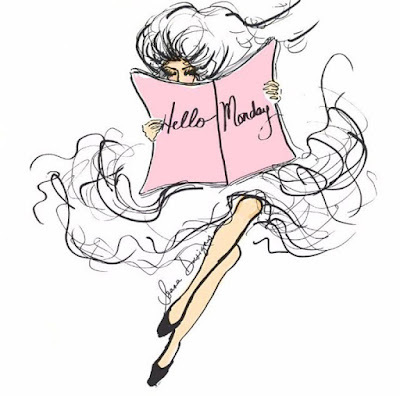 It sounds like you had a fabulous week! It's always nice when the weather cooperates for a "holiday" weekend. It sounds like your friends neighborhood definitely goes all out! I love seeing what other people think of for costumes because I'm not very creative in that department. Yay for a great weekend! The shoes are too cute and I just love your vest! Happy November! Those adult beverages look amazing. I'm strange though, every time a restaurant has those metal martin glasses, I ask for a glass one. I guess I like my booze in glass more than metal. Really though, I'd still drink it. Looks like a very relaxing weekend! 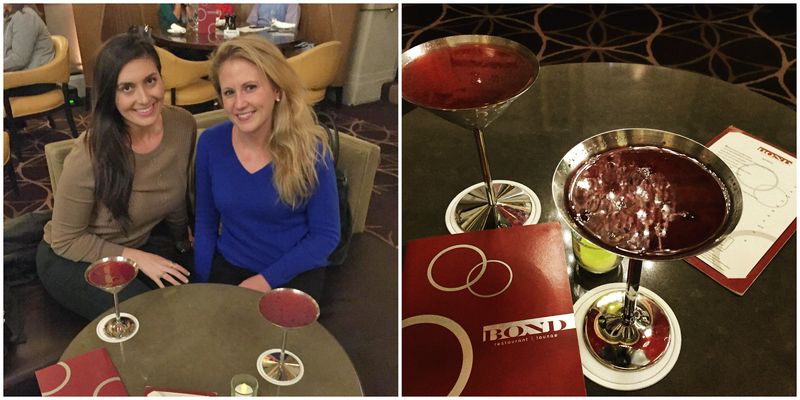 The Langham is one of my favorites in Boston and Bond is so much fun! I was about to say Gary looks quite tan there in that picture! Looks like another beautiful weekend in the city! 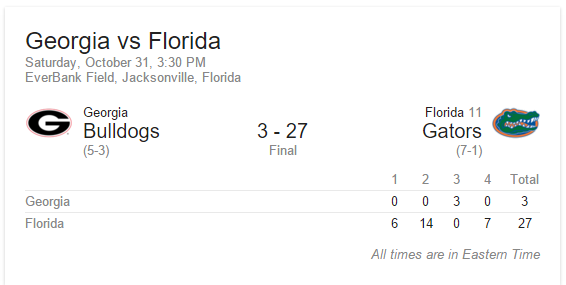 Yeah for that Gator win!!!!! What an awesome game!! I am so excited for November too-- it looks like you had a great weekend! I'm always so amazed with how creative people are with their halloween costumes every year! Loooove that vest & can't wait to hear more about it later this week! I did some damage at Marshalls this weekend too, albeit in the form of table linens. (Hi. I'm Sara. I have a problem with table linens.). That picture of the park is gorgeous!!! I'm definitely missing those leaves!! Those moccs are so cute! I need some to match Hal's! Sounds like a wonderful weekend!!! You look beautiful in all of your pictures. That hotel bar is gorgeous! We have a Langham hotel here too and it's pretty cool. 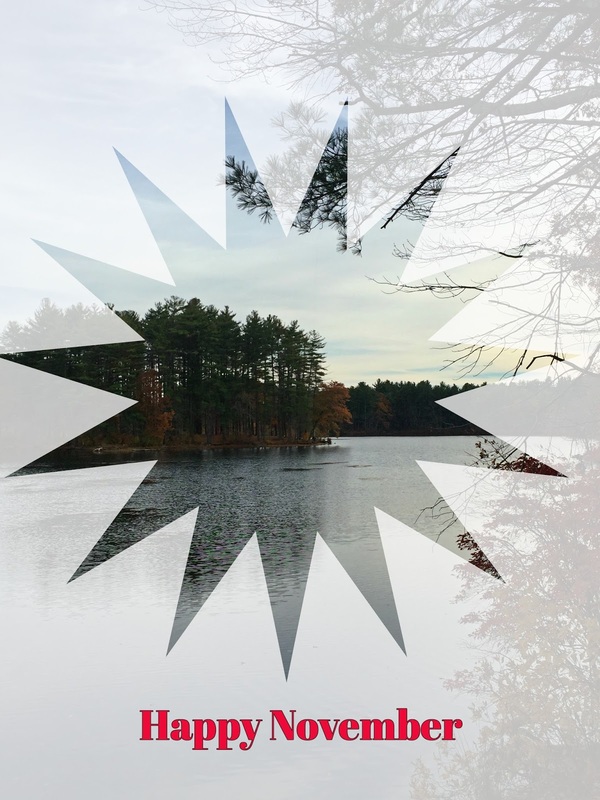 :-) Your pictures are all great, and the scenes of fall in Boston are beautiful. It is nice to show people that fall does exist in cities! :-) Happy Monday lady and I hope that you have a fab day!! OMG that reataurant that use to be a bank is gorgeous!! Glad you guys had a warmer weekend! Ours was hotter then crap haha! I swear it feels like fall will never get here! Looks like another Fabulous weekend! I always love seeing what the trick-or-treaters are wearing and I love it when their parents dress up, too!! Love the name of that Tall, Dark and Handsome drink! Have a fantastic Monday! LOVE that sherpa vest! Can't wait to hear where you scored it! Sounds like a great weekend. Friends, family, food and perfect weather. What could be better? Looks like you had a fun weekend. Loving all those cocktails! Looks like you had an awesome weekend! I love those pink moccasins! so cute! Looks like you had a wonderful weekend! 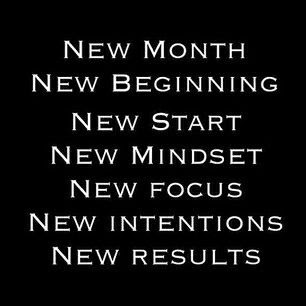 And yay for the start of a new month! Love your pink shoes! 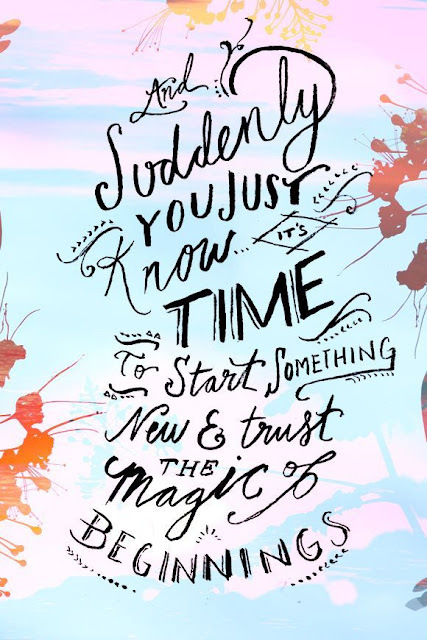 “And suddenly you know: It's time to start something new and trust the magic of beginnings.” -- That quote is so perfect for me today! Thank you for these little bits of inspiration to start off the month! Love the quotes!! And yes, it was so nice to get that extra hour! Looks like a super fun weekend and the food sounds yummy! Happy Monday! You always have the most fun weekends! That bar is gorgeous!! Our neighborhood goes all out for Halloween as well. It's so fun to go to all the houses! Wow, that bar is gorgeous!!! You and Gary at Painted Burro... YOUR HAIR!!!!!!!!!!!!!!!!!!!!!!!!!!!!!!!!!!!!!!!!!!!!!!!!!!!!!!!!!!! Gah. So many levels of jealous right now. Love love LOVE the moccasins! Happy November!! Your weekend looks like it was a blast! Love the drinks and those shoes! That hotel is beautiful! Looks like you had another amazing weekend! That bar looks absolutely beautiful! What a chic place to spend your Friday evening! 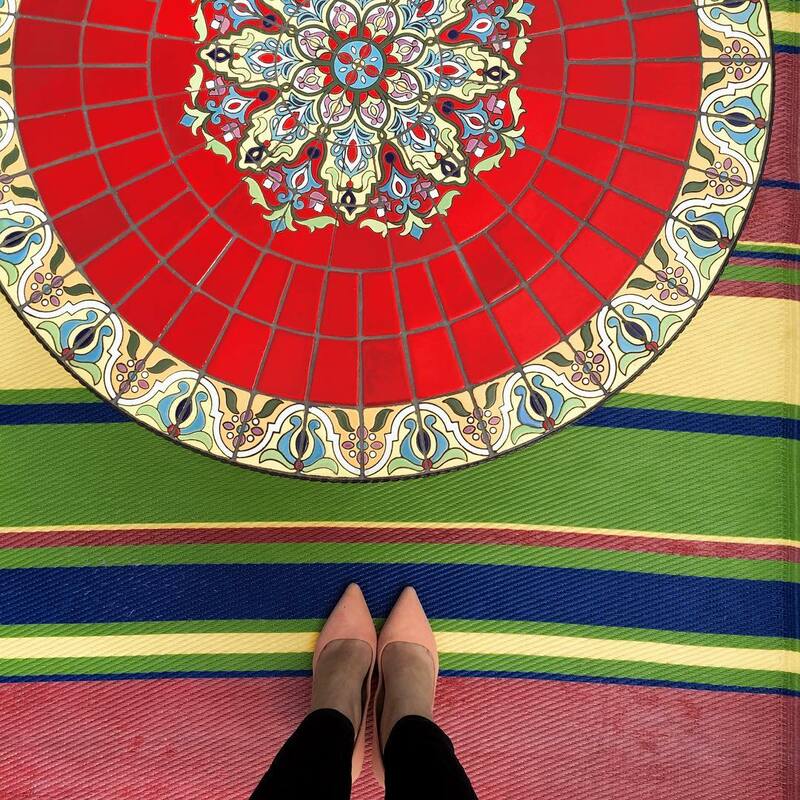 Always love your snaps and following a long on your adventures! Hers to a great week! mmm that chicken does look amazing! it is on the menu for this week, can't wait. your pink shoes are adorable! totally jealous of Gary's tan as well haha. sounds like a perfect weekend! that lobster / mom costume sounds amazing. Looks so beautiful! Love the trees! Sounds like a good weekend! How can it not be with an extra hour? Looks like an awesome weekend! It's been really nice here too which I'm not complaining about at all! And I agree with everyone else, that bar is absolutely gorgeous! I can see how it would be a favorite place to go. Have a great Monday! I love this time of year, all the excitement of the holidays is upon us. Looks like you had a fabulous weekend girl! That Bond restaurant/lounge looks so gorgeous, those chandeliers!!! Loving that vest too!! Looks like it was a fab weekend. The weather this weekend was perfect. Hope your Monday is going well. LOVE those moccasins--especially in Pink!! You had a fantastic weekend! Love the moccasins! Have a nice week! I'm not big on costumes but that mom and baby - chef and lobster costume sounds hilarious. And that Tall, dark and handsome drink looks interesting. Sounds like you had a great weekend. Good food, good times. i am LOVING those hot pink moccs! so so cute! Sounds like a nice little weekend!!! I LOVE your outfit with the striped shirt and that vest! 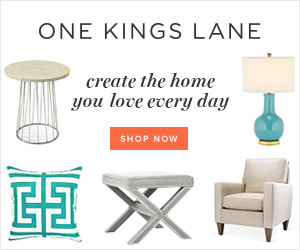 I've been eyeing one at Nordstrom recently ... so cute! This looks like such a fun time! I love the pink shoes & the quotes! What a fun weekend!!! I meant to hit up Marshall's but never made it. Love your pink shoes, such a great splash of color. Give me all the fall trees right now! Congrats on the win Saturday! Georgia could not have looked worse. It was pitiful. And we have officially retired Jacob's lucky onesie. Lol. Looks like you had a great weekend, what a pretty hotel! We have a bar that used to be a bank here in Philly and it is pretty cool! Love that vest, I have a similar one I wear all the time! That hotel kooks so gorgeous! Love your pink moccasins! 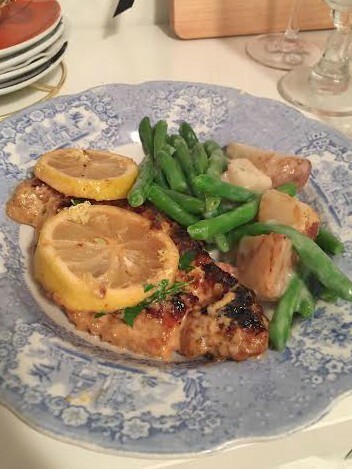 So glad that lemon chicken recipe turned out great-I'm going to try it this week! What is Gary's secret to the year round tan? I need it ;) Boston in the Fall is just dreamy. It is hands down the best Fall city! I've seen that baby lobsters costume on Pinterest before, but never in real life. I bet it was adorable! (: Looks like you had a packed weekend! Love those hot pink mocs and your sherpa vest. I NEED one. Definitely a weekend to bring in for November! Can't believe we're already in November, seems like we just started October. Yay you found a shearling vest!! Looks great on you! And I was so hoping you would post about the pink moccasins - I neeeed them! Happy Monday! What a perfect weekend! That bar/restaurant looks pretty spectacular! As always, I'll have to check out that recipe because you always share some good ones! Happy Monday! Sounds like such a fun weekend! Love the shearling vest and those pink flats are just too cute! Looks like a wonderful weekend! I loved what you said about your Halloween outfit being "a blogger" that faux fur vest looks amazing! I absolutely love that first quote. It sounds like such a great weekend & that bar looks awesome! Those shoes! And that looks like such a fun way to celebrate Halloween! The weather this weekend was perfect. I didn't have time to read this post yesterday but OMG girl that place you and your friend went to looks like such a glam bar+restaurant and those drinks you are having sound so so soooooo good. I also love that waterfall vest and I am eyeing one currently. Wishing you a Lovely November like you have planned, B! What a fun weekend! Boston looks beautiful! I wish our trees would change colors. Can't wait to hear more about the vest! 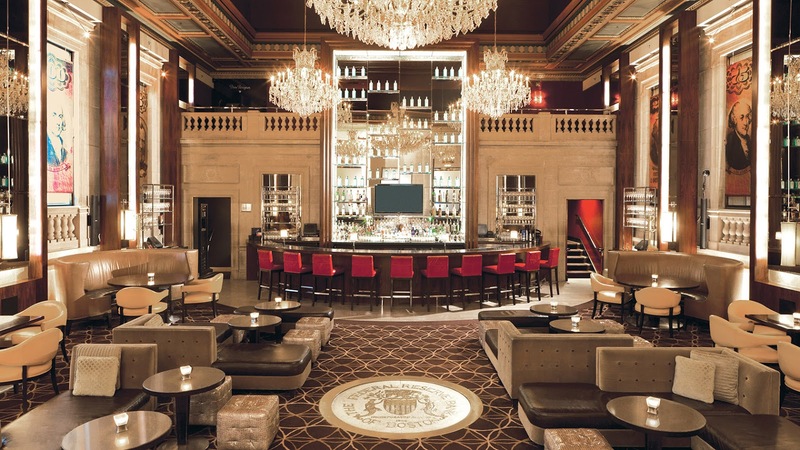 The Bond looks so pretty inside and a great place to meet for drinks with friends. I love the fur vest thing you wore on Saturday...where did you get it from? It's so pretty! 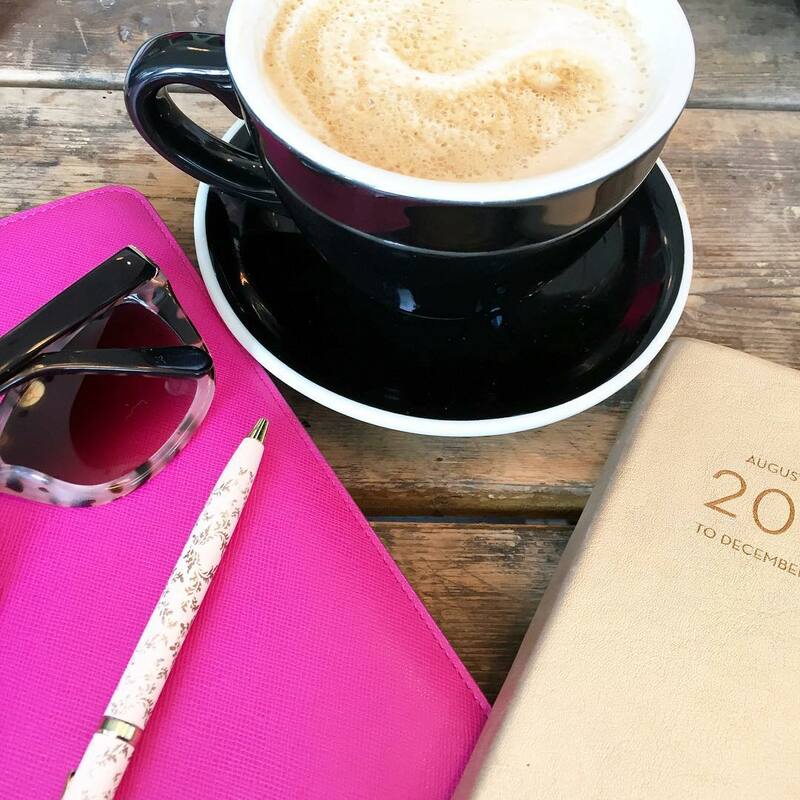 love seeing your weekend recaps! i can't believe i missed this one! nothing like some yummy meals and some delicious drinks to celebrate. i always love the beginning of a new month too, so many possibilities.